We generally focus here on the demand side of the illicit antiquities trade — the museums, auction houses, collectors and dealers who buy plundered antiquities, providing the economic fuel that keeps looters digging. Our friends at the Sustainable Preservation Initiative (SPI) have developed a promising paradigm for attacking the problem at its source—the impoverished communities where archaeological sites are frequently located. If you’re reading this blog, you probably know that looting and the illicit antiquities trade ravages archaeological sites, ones that contain many of the precious artifacts valued by collectors, dealers, and museums because they help explain the history of human beings on the planet. More specifically, it is often residents of an impoverished local community that loot the site or use it for other purposes (grazing animals, growing crops) in an attempt to provide themselves and their family with the essentials, thus accelerating the damage. But how can someone tell an underprivileged person not to economically exploit a site, even if that exploitation is destroying the site, without providing a viable economic alternative? SPI’s paradigm answers this question. It preserves endangered archaeological sites by empowering local residents through entrepreneurship. 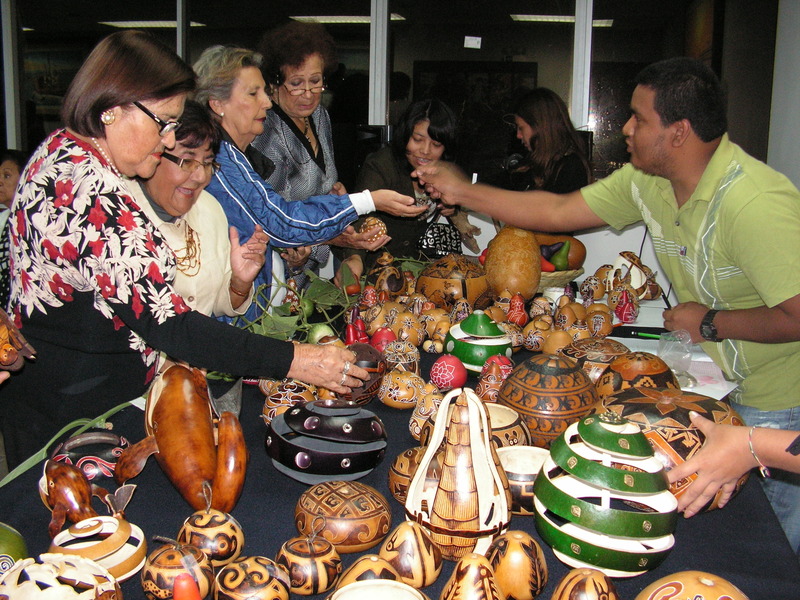 By investing in locally-created and -owned businesses whose financial success is tied to preservation of the site, SPI preserves cultural heritage and alleviates poverty in the surrounding communities. Our first project at San Jose de Moro, one of the most important ancient cemeteries in all of Peru, has created over 40 jobs for local residents and generated over $16,000 in an impoverished community where the daily wage is only $9.50. Looting and destructive practices at the site have come to a halt and local residents now view the site as an economic asset. After just one year of operations, the project is completely economically sustainable, no additional funding needed. This week, SPI is launching its first crowdfunding campaign on indiegogo.com to raise the $49,000 needed for our two newest projects in Bandurria and Chotuna, Peru. Both sites are home to poor communities and rich cultural heritage. Bandurria contains pyramids in Peru older than those of ancient Egypt and Chotuna is a 235-acre monumental temple and pyramid complex, where several ancient royal tombs have been discovered (see National Geographic link here). Neither place can afford such basics as running water and electricity or has a sewer system. There are few jobs, little income and no opportunity to escape this cycle of poverty. Our project aims for nothing short of alleviating poverty in these communities and saving the archaeological sites, and we want to give as many people as possible the opportunity to come on board. Help us save sites and transform lives! Click here to make a tax-deductible contribution at indiegogo today and spread the word by liking our campaign on Facebook, posting our crowdfunding campaign on your Facebook page, retweeting us on Twitter (#peoplenotstones2013), or pinning our project video on Pinterest! This entry was posted in Ideas, News and tagged crowdfunding, economic development, Larry Coben, looting, People Not Stones, Rebekah Junkermeier, site preservation, Sustainable Preservation Institute. Bookmark the permalink. è una strada lunga, ma è certamente quella giusta da percorrere! Dealers in the UK See Conservationists and an "Other"